Any hypnosis course is highly likely to differ in content, structure, method of examination, student support, business advice and course completion support. One thing is consistent across the hypnotherapy training courses and that is they are aimed at producing graduates who can help any client with at least the most popular issues. These popular issues might be low confidence, weight, smoking, fears and phobias, stress, relationships and life balance to name a few. Any effective hypnosis course should also provide a means for students to undergo therapy themselves. Afterall how can you appreciate what a client is going through during a hypnotherapy session if you haven't been there yourself. Most student therapy sessions will be conducted outside of the course hours. However the course should provide a balance of theory and practice of hypnotic skills. This is how the budding hypnotherapist improves their skills and increases their confidence. Many hypnosis school's courses will include psychology basics and psychotherapy themes as a means of giving an understanding of how other mind therapists tackle issues. You can expect to hear about Freud, Jung and Rogers along side of well-known leaders from the hypnosis world such Mezmer, Erickson and Elman. You can look forward to enjoying an exciting and enabling course on appreciating human behaviour and as a happy side effect, better self-understanding for you. Students of hypnotherapist courses are often passionate people. They recognise that not only can they help other people but they now have a greater appreciation of what makes them the way they are. You will enjoy similar and life-changing results of learning to be a hypnotherapist. 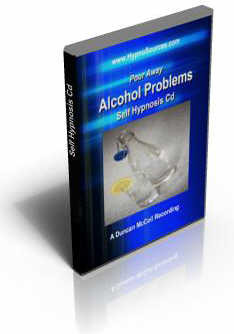 Feel free to ask me any questions about my experience as a hypnotherapist at [email protected]	. I will try to respond within 24 hours.